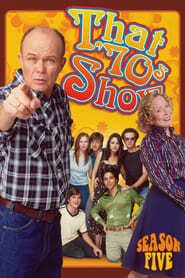 The fifth season of That ’70s Show, an American television series, began September 17, 2002, and ended on May 14, 2003. It aired on Fox. The region 1 DVD was released on October 17, 2006. This season is set entirely in the year 1978. Note: All episodes are named after songs by Led Zeppelin.